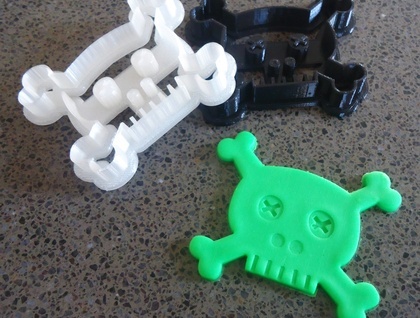 Skull and Cross Bone shaped 3D printed cookie cutter. 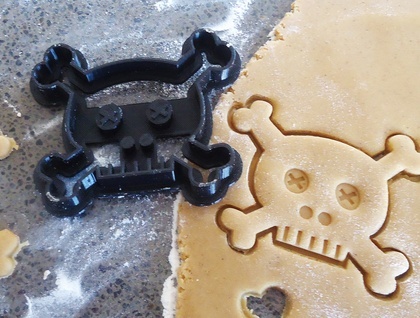 Can be used to make cookies, cut fondant decorations and fun to use with play dough. 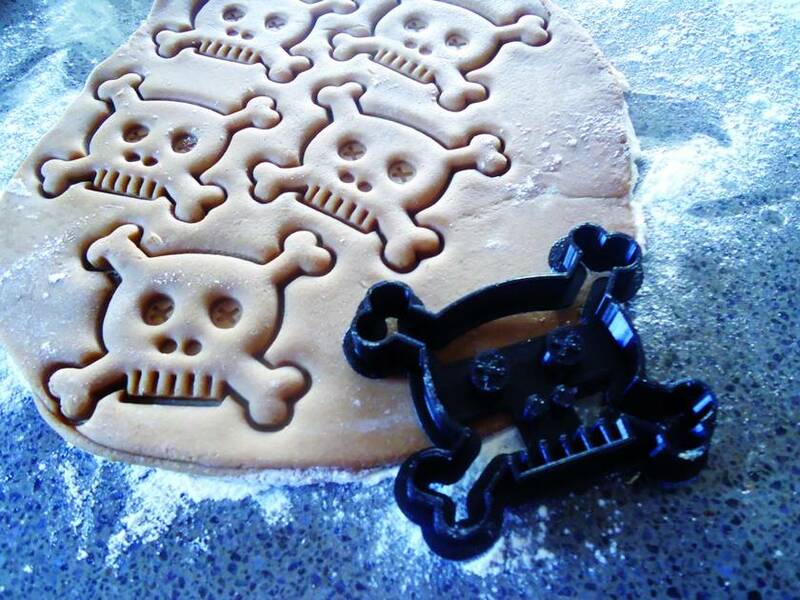 Great for kids pirate theme parties. 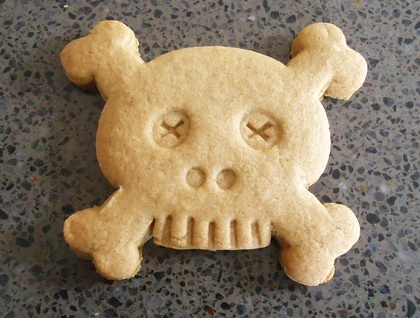 The dimensions of the Skull are 3.94 inches wide by 3.15 inches tall (10 by 8 cm).